Glyn Williams is highly regarded as one of the Brass Band World's up and coming young Musical Directors. 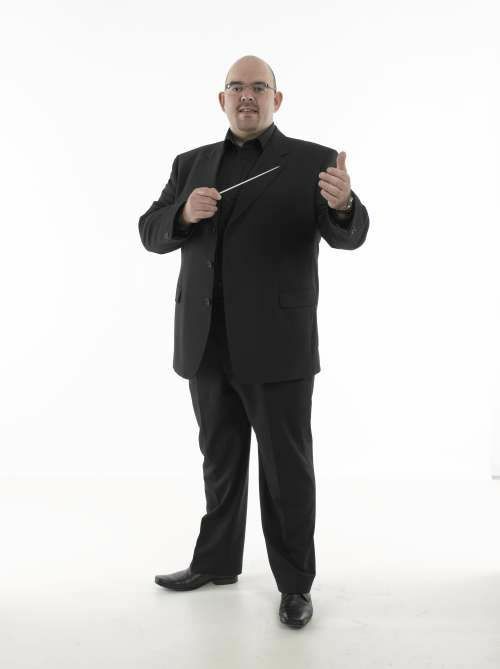 He has held the position of Professional Conductor at the Marsden Silver Prize Band since 2004 with great contest success. Highlights have been winning the 2004 First Section at Pontins and then the Championship Section in 2010, winning at the French Open in 2004, a consistent record of wins at the Whit Friday March Contests and other local March Contests and of course the Senior Cup wins of 2009 and 2011. 2011 was a successful year for Glyn and Marsden Band as they continued to establish their position in the Championship Section with a 3rd place at the All England Masters International Contest and a 4th place at the Scottish Open Championships. Glyn is proud to conduct Marsden Band at the annual Yorkshire Area contest where they hold their heads high competing against some very famous Bands such as Black Dyke, Brighouse & Rastrick and Grimethorpe Colliery. Glyn has also appeared as guest conductor with other Championship Section Bands including Hepworth and Foden’s, and in October 2011 travelled to Norway where he spent a week with Molde Brass Band leading them to first place at the Maloy Entertainments Contest. He was a nominee for Conductor of the Year on the internet Brass Band Magazine www.4barsrest.com at the end of 2005.